Make your Special Occasion an extra special celebration! In recognition of your support Wellspring will provide gift cards to you with the Wellspring logo embossed in gold or silver ink (photos below) and/or a reception certificate to share with your guests. By taking advantage of the Wellspring Special Occasion Program, you are becoming a Lifeline to Cancer Support. Thank you! What materials does Wellspring Niagara have available? Wellspring can offer you Wellspring gift cards, available with a gold embossed “W”, as well as a reception certificate. Can I include a personal message inside the card to my guests? Yes, the Special Occasion Program allows you to customize these cards specifically to your needs. You can print your own personalized message using your desired font and ink colour to coordinate with your other event materials and decor. Wellspring cards can go through most home printers. Is there a cost for these materials? Yes, there is. However, your generous donation will cover that cost. These materials are Wellspring’s way of recognizing your gift to Wellspring Niagara. 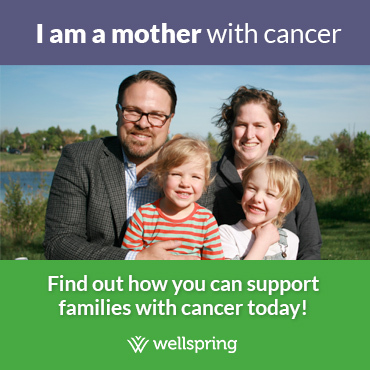 Your donation allows Wellspring to continue to offer free cancer support to the men, women and children and their families living with cancer. Wellspring encourages people to make a donation equal to or more than the cost of the favor or flowers (a minimum donation of $5 per card) to help further the Wellspring mission. When should I order the special occasion materials? Please contact Wellspring Niagara approximately 2 – 3 months prior to your special occasion to ensure that Wellspring has the stock available to cover your needs and to allow you plenty of time for printing. Please contact call 905-684-7619 to discuss special event options.